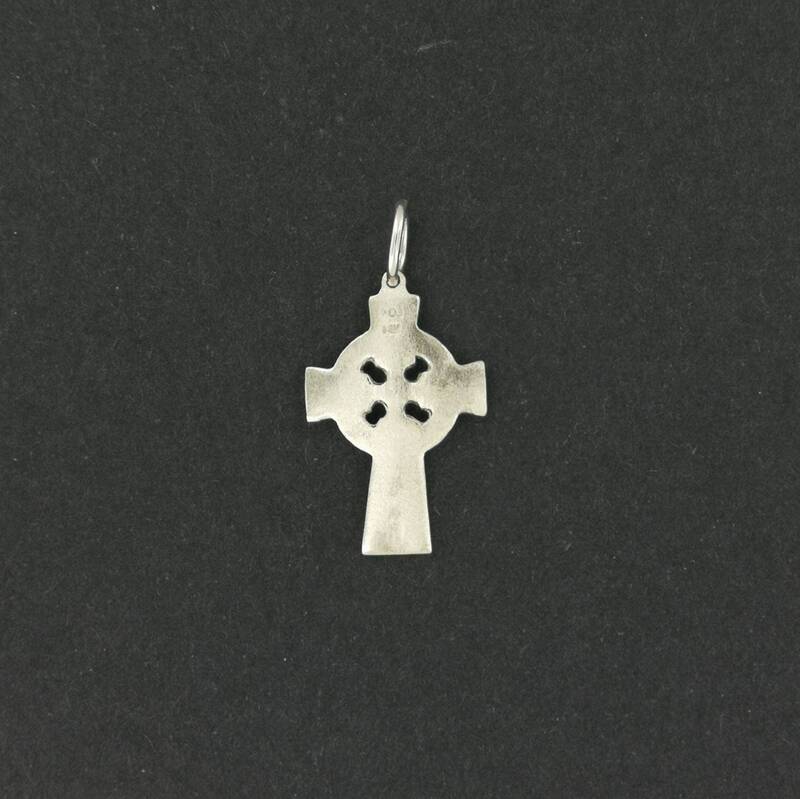 This pendant is a small celtic cross that I'm offering in gold that is made to order and is 2.5cm long. It takes a week to make and is shipped with insurance and tracking. All my gold jewellery is custom made per order and is not eligible for returns or refunds. These are not stock items as they are made only upon ordered. So please take this into consideration when you order. There is a large irish population here in Montreal, and no one was making jewellery in this style. So I decided to do it! These are from a collection of master designs I got from a retiring jeweller here in Montreal. The original design dates from the 40's-50's, but I made a new mold and started making them in sterling silver and bronze. 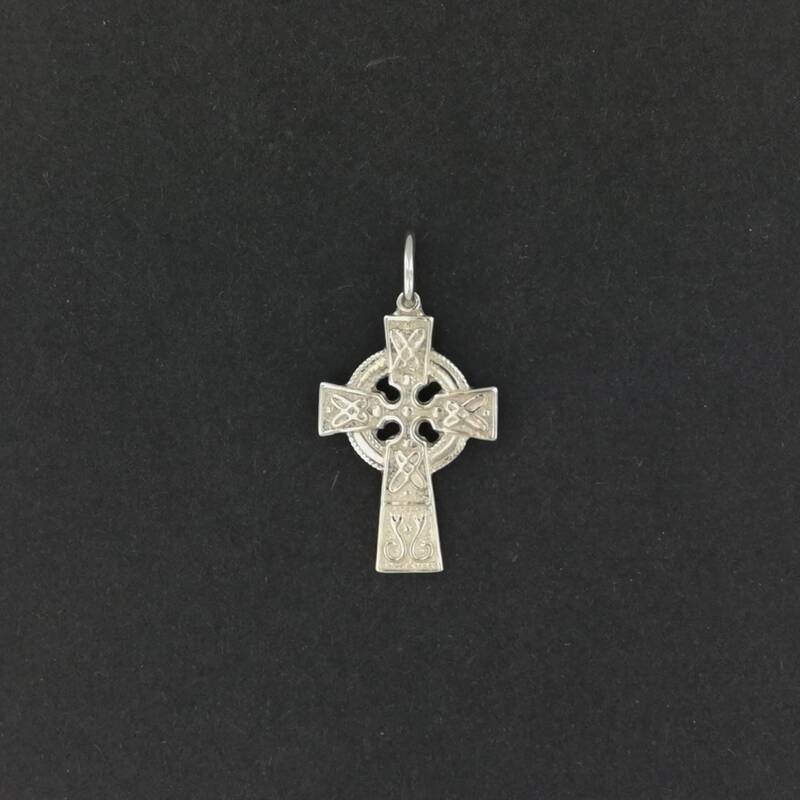 The Celtic cross is a form of Christian cross featuring a nimbus or ring that emerged in Ireland and Britain in the Early Middle Ages. 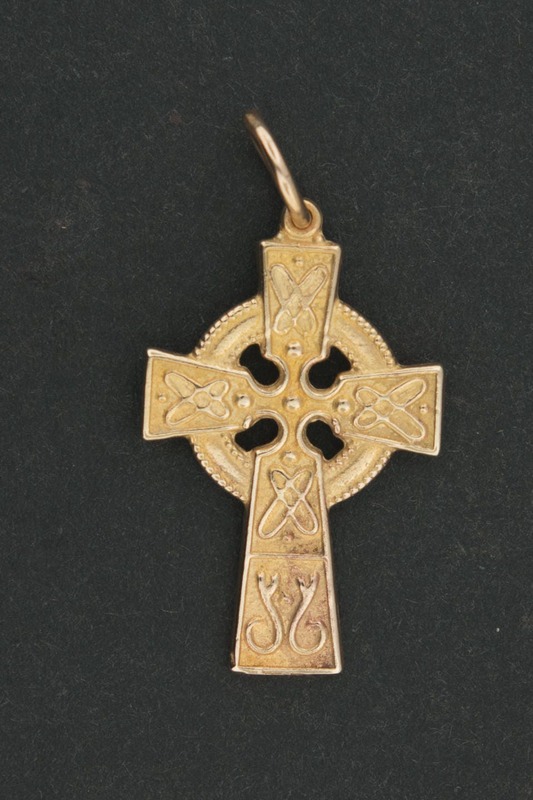 A type of ringed cross, it became widespread through its use in the stone high crosses erected across the islands, especially in regions evangelized by Irish missionaries, from the 9th through the 12th centuries. A staple of Insular art, the Celtic cross is essentially a Latin cross with a nimbus surrounding the intersection of the arms and stem. Scholars have debated its exact origins, but it is related to earlier crosses featuring rings. The form gained new popularity during the Celtic Revival of the 19th century; the name "Celtic cross" is a convention dating from that time. The shape, usually decorated with interlace and other motifs from Insular art, became popular for funerary monuments and other uses, and has remained so, spreading well beyond Ireland.